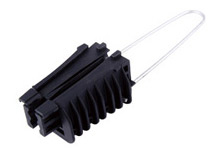 Product property: The plastic anchoring clamp is suitable for insulated low- voltage ABC cable. It is suitable for multiple conductors, and PA 25X100 can be applied to two and four cores. Easy installation and perfect insulated function It is in accordance with the NFC 33-042.